Join us for a rotating schedule of practices led by experienced Dharma practitioners. Each session includes some quiet stabilizing meditation and then a simple deity practice (sadhana) with basic prayers and mantra recitation. 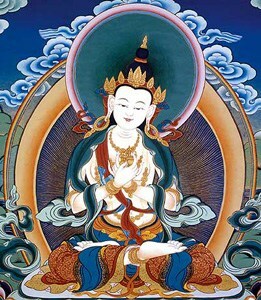 When we say “deity” we are referring to enlightened beings, i.e., buddhas. By doing these sadhanas, we activity the qualities of these enlightened beings within ourselves. Bring a mala (rosary) if you have one to help keep count of mantras. We have beautiful malas for sale at our bookstore. Practice leader will give instructions on this part of practice.